In our ninth annual “40 Under 40” feature, you will find a list of the top mortgage professionals under the age of 40, as voted on by their peers, who exemplify professionalism and top production in today’s housing market. In assembling this list, we at National Mortgage Professional Magazine took some heat when we began this endeavor nine long years ago. Many felt a list of this magnitude ignored many, while some even cited age discrimination, but we firmly stood by our decision to assemble this group. Like their industry pioneers before them, these individuals are the ones who carried the torch of professionalism in the year 2018 and beyond. We’d like to congratulate all of the following individuals named to our “40 Under 40” list for 2018—in no particular order but alphabetical—and thank all of the nominees for their participation in our “40 Under 40: The 40 Most Influential Mortgage Professionals Under 40” feature. 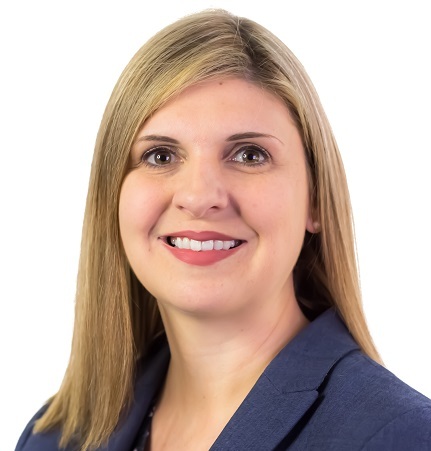 Academy Mortgage Corporation • Moorestown, N.J.
Brooke Anderson is Regional Director of Business Development at Academy Mortgage Corporation, responsible for generating new business production and operational growth. Since joining Academy in 2017, Brooke has hired numerous sales employees across the company to Academy. These new hires are on track to produce more than $300 million in new business, trending to more than a half a billion in new production for 2019 and growing. What sets Brooke apart from any recruiter in this industry is that she works from the heart, she does what’s best for the person she works with and the company she represents. During Brooke’s short time in mortgage recruiting, Brooke has recruited more than 500 operational employees and brought in well in excess $1.5 billion in new business production. 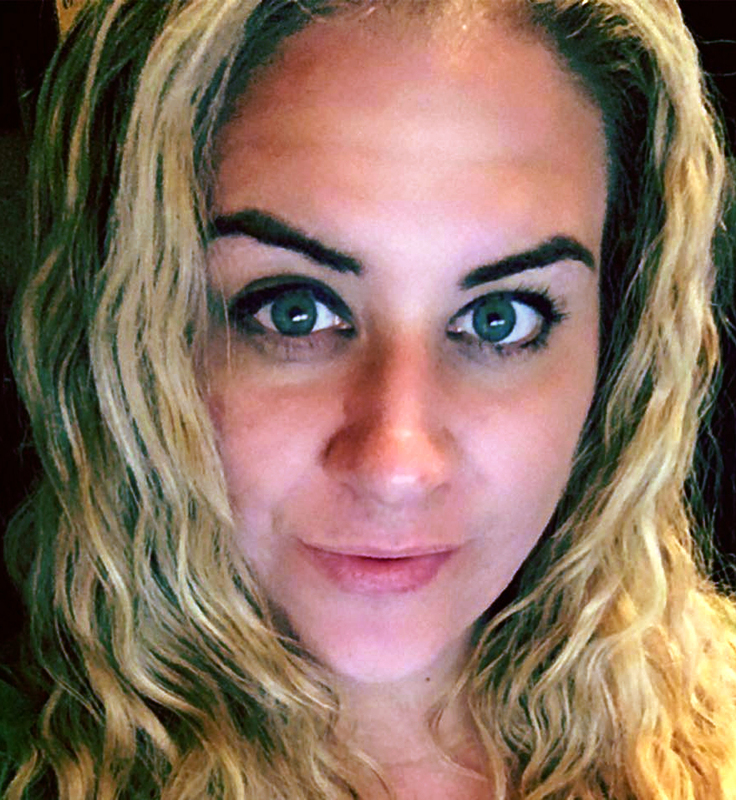 Homebridge Financial Services • Hackensack, N.J.
Dana Boehm is the Divisional Operations Manager for Homebridge Financial Services. She has been in the mortgage business for more than 17 years and has extensive experience in a variety of operational roles. Dana oversees the largest operational staff in the company, supporting 133 Mortgage Loan Originators in the Northeast. Her management of the divisional operational staff is integral in ensuring a smooth loan process for clients to help them achieve the dream of homeownership. Movement Mortgage LLC • Roseville, Calif.
Keith Collins, Market Leader and Certified Mortgage Planner (CMP) for Roseville, Calif.-based Movement Mortgage LLC, is an industry leader in the mortgage space. He is a top producer, attracts top talent and is always embracing change and systems. CMP’s are trained to help their clients achieve their financial goals and implement mortgage and real estate strategies that save money on income, capital gains and estate taxes. 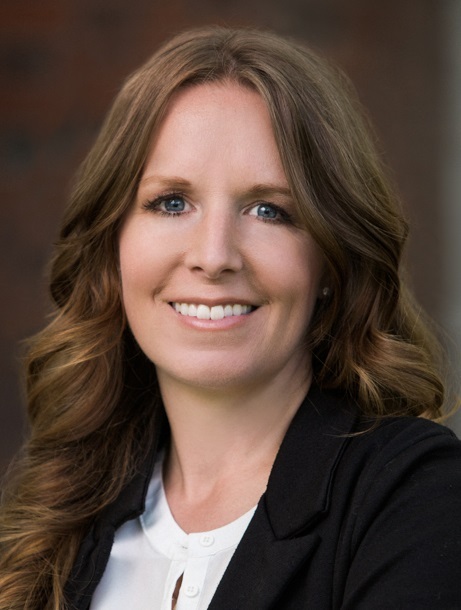 Academy Mortgage Corporation • Walla Walla, Wash.
Tera Davis has been a Loan Officer for the past 16 years, the last seven with Academy Mortgage in Walla Walla, Wash. With $33 million in closed volume in 2017, Tera is a member of Academy’s President’s Club for the company’s highest producers. As Sales Manager, Tera oversees two teams and believes everyone plays a big part in the mortgage transaction. She offers her extensive market knowledge and tips of the trade without reservation by answering questions, mentoring new recruits, and leading by example. Tera currently serves as President-Elect for the local Exchange Club, where she has also volunteered as a Child Abuse Prevention Specialist. On a personal level, Tera makes a donation from each of her closings to go toward meeting identified needs in her community. Tera currently sits on the board of her local Association of Realtors and serves on numerous industry and community committees. The Money Source • Agoura Hills, Calif.
Tom Gillis, CMB, leads the TMS Western Correspondent Sales Team as Senior Vice President of Sales, tapping into his diverse knowledge of the industry to fuel the company’s fast growth. 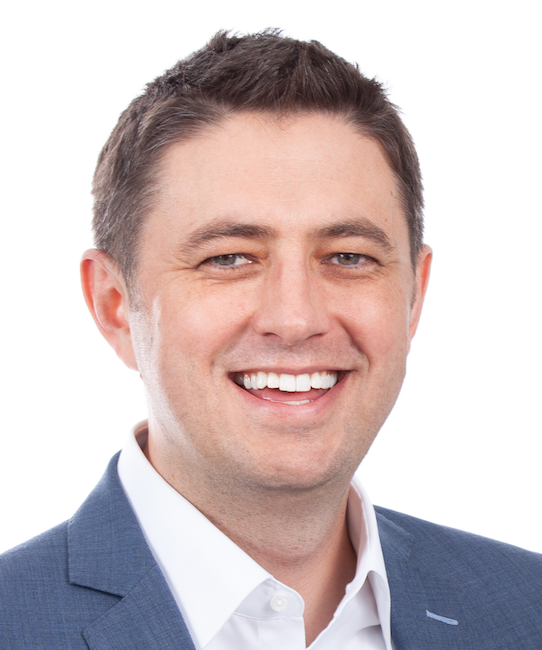 Starting in the industry 15 years ago, Tom has consistently been a top correspondent performer, with a proven track record of growing and managing accounts. His experience includes holding leadership positions at some of the largest mortgage companies, including U.S. Bank Home Mortgage and Bank of America Home Loans. Most recently, he was Vice President, Regional Manager at PennyMac. Earning his CMB designation in 2013, Tom is actively involved in the industry, serving on the CMBA Legal Services Committee, Mortgage Quality and Compliance Committee, and the Secondary Market Committee, along with being a part of MORPAC. LA Lending, LLC • Baton Rouge, La. Chasity Graff opened her mortgage company in 2007 while only 26-years-old and has persevered through the housing crisis, as well as a flood in 2016 that devastated her surrounding area in Louisiana. Chasity has always believed in the broker model in relation to origination and is currently enjoying participating in the new Association of Independent Mortgage Experts (AIME) movement, serving with the Women’s AIME Affinity Group and also acts as an administrator of a high level mortgage society comprised of Loan Originators across the country. While not running LA Lending or spending time with her family, she’s hosting training sessions for Real Estate Agents about increasing their presence on social media and helping build their individual brand. Chasity has a true passion for helping families own their piece of the American dream and her enthusiasm is contagious. American Financial Network Inc. • Brea, Calif.
Jonathan Gwin Esq. joined American Financial Network Inc. (AFN) in 2010. In his current role as Chief Operating Officer and General Counsel, he is instrumental in offering operational, as well as legal, support to AFN and is a crucial member of the company’s executive team. Jon earned a Juris Doctor law degree from Concord Law School of Purdue Global and gained a decade of experience in sales and management at National Lenders and Federal Banks prior to joining AFN. Jon started much of the technology processes in place at AFN today. He also established some of the first compliance management systems, Millennial training programs, and many other industry-leading processes and shared with the LendersOne network to help launch both compensation and compliance policies and procedures in the industry after the regulation changes in 2010. On the legal side, Jon started LitigationManagers.com to assist the industry with specialized, legal assistance across all 50 states. Jon also actively worked with New Story Charity to help build one of the first homes to assist the charity in its original growth. Vantage Mortgage Group Inc. • Lake Oswego, Ore.
Andy W. Harris, President of Vantage Mortgage Group Inc. in Lake Oswego, Ore., is best known for his educational and unfiltered articles and videos around independent mortgage origination. He boldly predicted the future of the primary mortgage market after the 2008 housing crisis and fought the majority in support of wholesale lending and lender competition. He credits his successful career to these predictions which have made Vantage Mortgage Group one of the most successful brokerages in the country. Atlantis Mortgage • Farmington Hills, Mich. 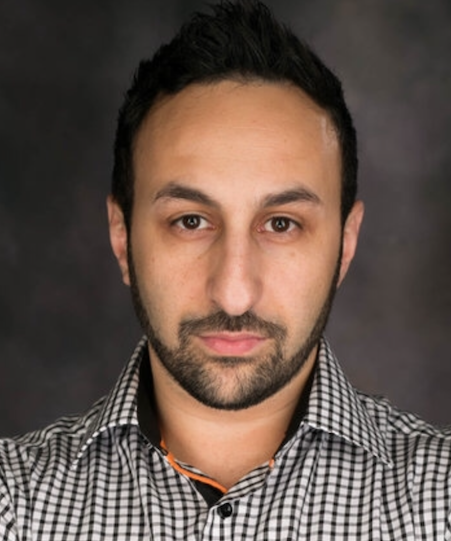 In six years of living, breathing and growing in this industry, Rami Jamil, Executive Vice President of Farmington Hills, Mich.-based Atlantis Mortgage has been fortunate to be able to close more than 5,000 loans. 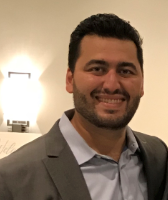 Rami started at the age of 21 with Quicken Loans and grew organically within the company from Senior, Executive, President’s Club and Director with the highest quantity ratio. For three of his six years, he ran the highest producing sales team, called the “Ambition” (half-billion purchase closings per year). He returned to writing loans in January of 2017 and produced $80 million in purchase closings (348 units). Rami hung his hat mid-year to focus on becoming more dialed in with his family and to have more entrepreneurial opportunities. M&M Mortgage • Roseville, Minn.
Jordan Johnson, Vice President of Production and Development, has been integral in training and onboarding employees at M&M Mortgage. Jordan worked as a Processing Manager with Military Family Home Loans for 10 months while M&M Mortgage built out operations in the Twin Cities, until Wells Fargo closed the joint venture. He was a Work Director with Edward Jones Mortgage, where he managed 27 processors. 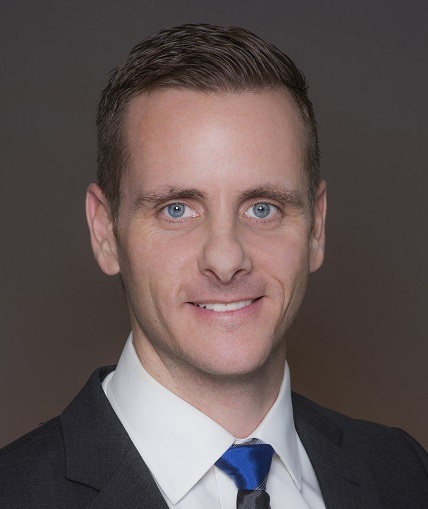 Jordan has trained with and developed 100-plus mortgage professionals in the Twin Cities, having originated more than $30 million in volume personally, and having closed more than 160 loans as a Processor. 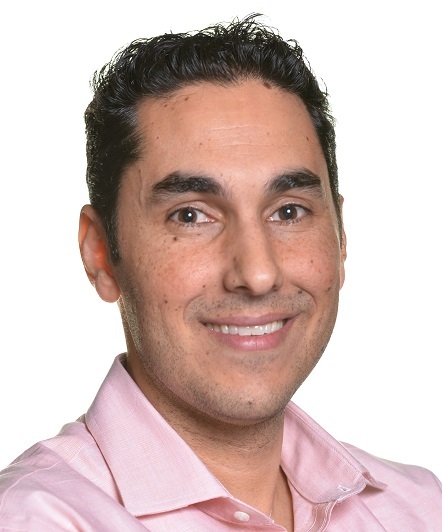 Kyle Kamrooz, Co-Founder of Cloudvirga, has 20 years of executive experience in residential mortgage lending. By the age of 25, he had built one of the largest direct-to-consumer mortgage lending companies in Orange County. His next venture, a nationwide mortgage company, processed more than $7 billion in loans annually and employed more than 500. Kyle witnessed first-hand the inefficiencies of the home loan process for both consumers and lenders and earned Direct Endorsement underwriting approval from the FHA to better understand the problem. While serving as Executive Vice President at Skyline Home Loans, Kyle developed the technology that would become Cloudvirga. 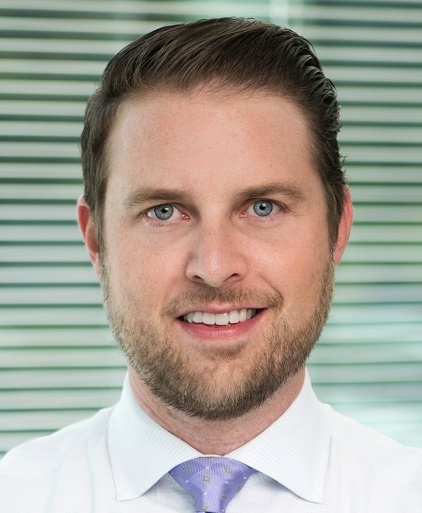 Kyle serves on Fannie Mae’s Technology Advisory Board and has served on the MBA's Loan Production, Legal and Regulatory Compliance and State Legislative & Regulatory Committees. Kyle’s commentary has been featured in TechCrunch and Huffington Post. He is a member of the Forbes Finance Council, and is one of Entrepreneur magazine’s inspiring tech entrepreneurs under the age of 40. Get Credit Healthy • Sunrise, Fla.
Elizabeth Karwowski is Chief Executive Officer of BEMG, t/b/k as MBO Holdings Corporation. BEMG, through its operating subsidiary, Get Credit Healthy, utilizes its proprietary processes, platform, and software which seamlessly integrates with the lenders' loan origination software (LOS) and customer relationship management software (CRM) in order to create new loan opportunities and recapture leads. Get Credit Healthy is passionate about providing consumers with the tools and resources they need to eliminate debt, build credit and make sound financial decisions. It is that passion that drove Elizabeth and Get Credit Healthy to create a leading fintech platform that provides financial institutions with data intelligence and lead recovery that turns credit fall out into funded loans. 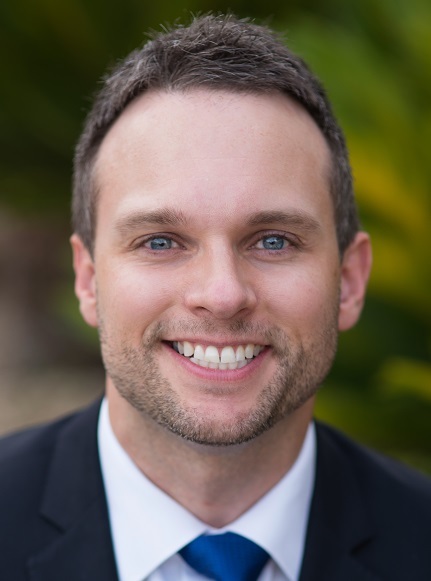 Academy Mortgage Corporation • Scottsdale, Ariz.
Jake Krabbe has moved up the ranks at Academy Mortgage, from being the company’s Rookie of the Year Loan Officer in 2012, to Sales Manager and Branch Manager. 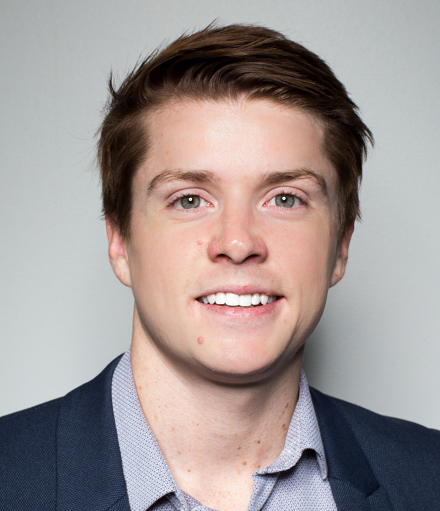 Jake has built an incredibly strong production team that closed $59.1 million in volume in 2017. 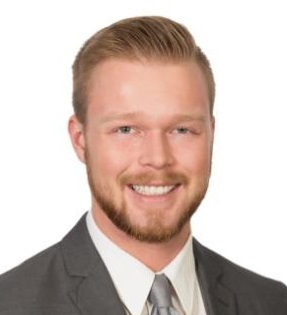 Jake is currently a Regional Sales Leader, responsible for overseeing the growth in production, the opening of new branch locations, and the recruiting and coaching of Loan Officers and other team members in Arizona. He currently co-leads 10 branches and more than 400 team members. Jake participated in Academy Mortgage’s Leadership Academy, an internal MBA-style program. He is also a member of the President’s Club, comprised of the company’s highest producers. Jake is a member of the Arizona Mortgage Lenders Association and was President of his local Toastmasters International Club. He is also actively involved with Big Brothers Big Sisters of Arizona as a mentor. Sales Boomerang • Owings Mills, Md. Alex Kutsishin is Founder, Chief Executive Officer and Chief Return-on-Investment Booster for Sales Boomerang in Owings Mills, Md. He is an innovator and entrepreneur, with expertise in marketing, digital communication and technology. In 2011, Alex launched the nation’s first code-free mobile development software which he sold at the end of 2014. After the buyout, he consulted for one of the top business intelligence companies which sold two years ago for more than $100 million. He then consulted for one mortgage industry's top marketing companies, which is where he got the idea for his new venture, Sales Boomerang, the first fully automated Borrower Intelligence software that tells lenders when a prospect or past customer is ready for a loan. In just 14 months, they have discovered more than $6.28 billion in missed loan volume for more than 40 of the top lenders in the industry, and are on track to quadruple their customer and staff size by the end of 2019. Lund Mortgage Team Inc. • Glendale, Ariz.
Lisa Lund, President of the Lund Mortgage Team Inc. in Glendale, Ariz., started out as a Junior Processor in 1997, working for her father's brokerage company. She opened Lund Mortgage Team Inc. in June 2009 at 28-years-old. She has worked in every aspect of the loan process, from Assistant to Owner. Lisa currently runs a broker shop in Glendale, Ariz. with eight employees and closes more than 60 loans a month on average. 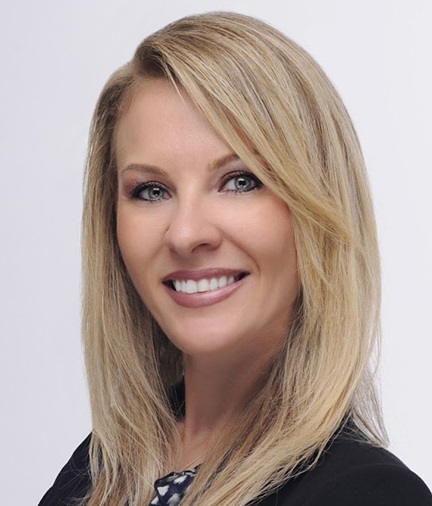 Lisa is very involved in the community and is currently a member of the National Association of Mortgage Brokers (NAMB), the Arizona Association of Mortgage Professionals (AZAMP) and the Association of Independent Mortgage Experts (AIME). She is also a member of AIME Women's Affinity Group. Lisa has lobbied in Washington, D.C. for Mortgage Broker laws, chaired Arizona state trade shows, scheduled speakers for AZAMP Monthly Luncheons and organized continuing education for licensed Loan Officers and Mortgage Brokers. Lisa's favorite part about being a Mortgage Broker is being able to help clients who didn't think they could qualify for a home to attain the American dream of homeownership. M&M Mortgage LLC • Roseville, Minn.
Wesley Marsh, Mortgage Consultant with M&M Mortgage LLC in Roseville, Minn. is known as the “Mortgage Marsh.” Since he was young, Wesley has always had a passion for the outdoors. His love for the outdoors allowed him to create incredible memories with his family and friends growing up. Along the way, he developed personal values that he brings to his business. His positive mindset and self-motivation has set him apart from others in the industry. He cherishes the genuine connections he builds with his clients in the mortgage process. Wesley grew up in Ham Lake, Minn. He has a finance background, working in the auto industry as a finance manager. In his free time, he enjoys golfing, hunting, and fishing. Wesley also loves making an impact on his community by giving back. This year his goal is to donate $10,000 to charity. 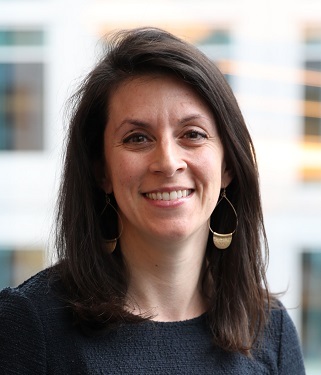 Fannie Mae • Washington, D.C.
Noelle Melton is the Director of Single-Family’s (SF) Affordable Housing Initiatives, where she leads her team to develop and execute products and policy enhancements to ensure Fannie Mae meets its annual SF Affordable Housing Goals. This includes creating and launching pilots and other strategic solutions which support low and very low-income borrowers by addressing access to credit challenges. Noelle previously served as Director of Government and Industry Relations at Fannie Mae. In the 10 years prior to Fannie Mae, she served as a financial services policy advisor to a senior member on Capitol Hill in the wake of the financial crisis, and as a consumer advocate for a national coalition helping underserved people build wealth. Her passion for affordable housing extends to her volunteer work: Noelle has spent 15 years as a Sous Chef at Miriam’s Kitchen, a local D.C. non-profit which fights homelessness by providing quality meals, comprehensive support services, and care for their guests. 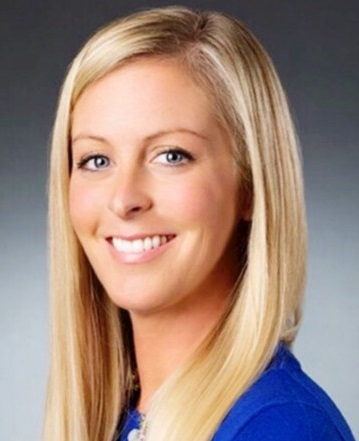 United Wholesale Mortgage • Pontiac, Mich.
Meggan Midbo leads strategic initiatives for United Wholesale Mortgage (UWM), working closely with the executive team to set the course for UWM’s corporate technology road map. Meggan’s extensive mortgage knowledge, coupled with her project management skills, make her the central point of contact, both internally and externally, on initiatives that drive sales production, improve process efficiency, and keeps the company in compliance. Meggan has been a catalyst behind UWM’s mission to reduce the amount of time it takes to close loans, having led the launch of UWM’s UClose 2.0. A 13-year veteran of the industry, Meggan has worked in mortgage technology with a focus on wholesale and correspondent lending since 2005. In 2008, she led the project for the first e-Signed mortgage for Freddie Mac. She was a panelist at the 2018 NEXT Mortgage Conference, where she discussed virtual e-Closings and general e-Mortgage technology implementation. 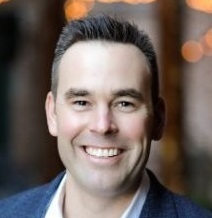 Ben Miller is President and Chief Operating Officer at SimpleNexus. 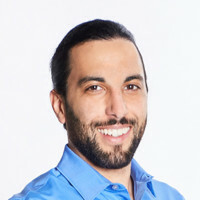 Ben joined SimpleNexus in 2014 as one of its original employees. Today, as COO, Ben runs the operations side of the house, which ranges from setting up strategic partnerships to managing implementations, to developing employee benefits programs. His mission is keeping the company efficient as it scales, expanding partnerships and bringing the right mix of people onboard. Just seeing the impact that SimpleNexus is making on the industry is his motivator to constantly do more. 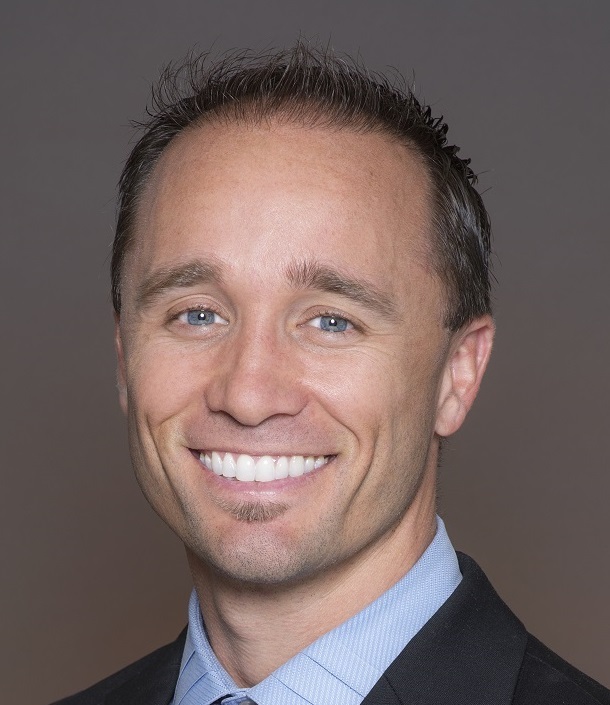 Ian Miller, Chief Marketing Officer for San Diego-based Mortgage Capital Trading Inc. (MCT), is an accomplished marketing executive who enjoys deconstructing complex value propositions to present them in a compelling and relatable format. He finds fulfillment, whether writing photo captions or mission statements, rolling up his sleeves for a development sprint, or managing the operations of a diverse team towards long-term objectives. After cutting his teeth as a freelance marketing agent, Ian’s consultancy merged and blossomed into a successful agency in Riverine Inc., where he served more than 50 clients in a wide range of industries and capacities. Chief among those was MCT, where he played a key role in elevating the company’s reputation as a top provider of capital markets software and services. 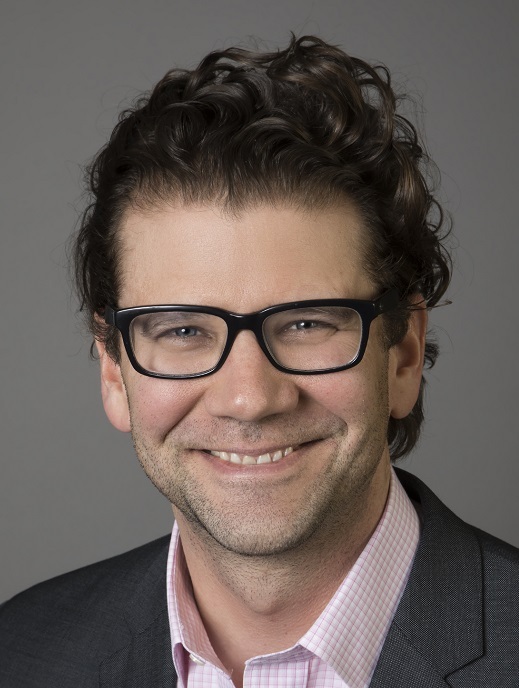 Ian’s core competencies include commercialization strategy, performance analysis, technical copywriting, CRM database development, and event production, which he is now proud to leverage as MCT’s Chief Marketing Officer. Alvaro Moreira, Director of Strategic Growth for MortgageRight in Atlanta, is a mortgage marketing professional and business growth expert. He enjoys helping Branch Managers and Loan Originators reach their true potential by challenging them to think and work differently, and by helping them grow their businesses with marketing, recruiting and increased efficiency. As the Director of Strategic Growth of MortgageRight, Alvaro has recruited and coached many successful mortgage producers who have significantly grown their income. Lenders One • St. Louis, Mo. Matthew Orlando joined Lenders One in 2017, which had its strongest year in membership growth and profitability under his leadership. 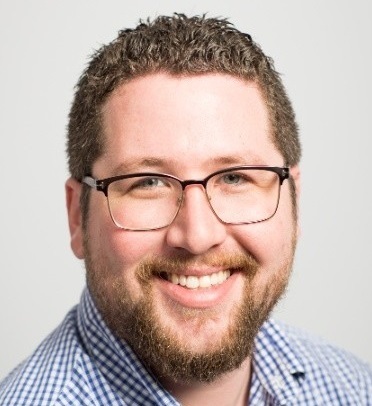 Understanding that the company has been expanding, Matt has been instrumental in bringing top talent to the organization and his team, enabling aggressive growth and implementing new due diligence vetting processes for the cooperative. With more than 12 years of experience in the industry, Matt has developed strong relationships with many co-op members, preferred vendors and investors. 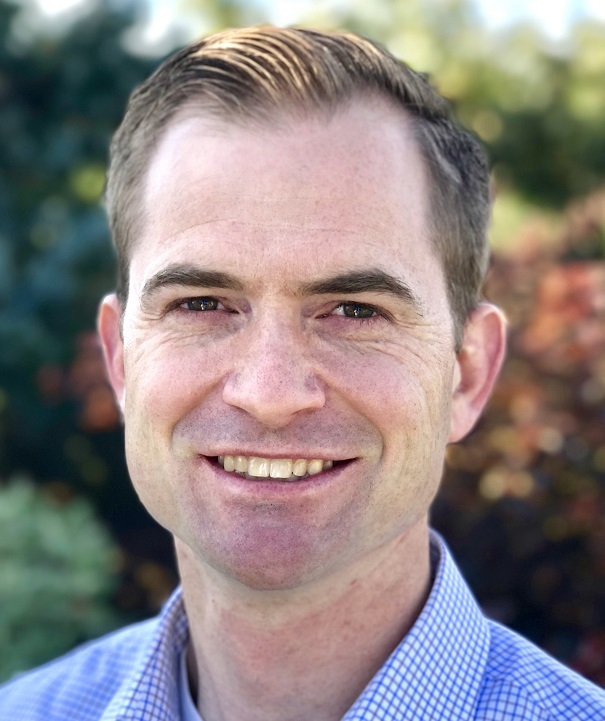 In August 2018, Matt was promoted to lead the member acquisition and relationship team, in addition to overseeing the platform of Lenders One’s preferred vendor network. Since joining, Matt has been integral in delivering: A 30 percent increase in member utilization of preferred solution providers, enabled by increased customer intimacy; and innovative and exclusive solutions to help solve member challenges, including Lenders One eClosing by DocMagic, Lenders One M&A Connector and Lenders One Talent by Hoops HR. 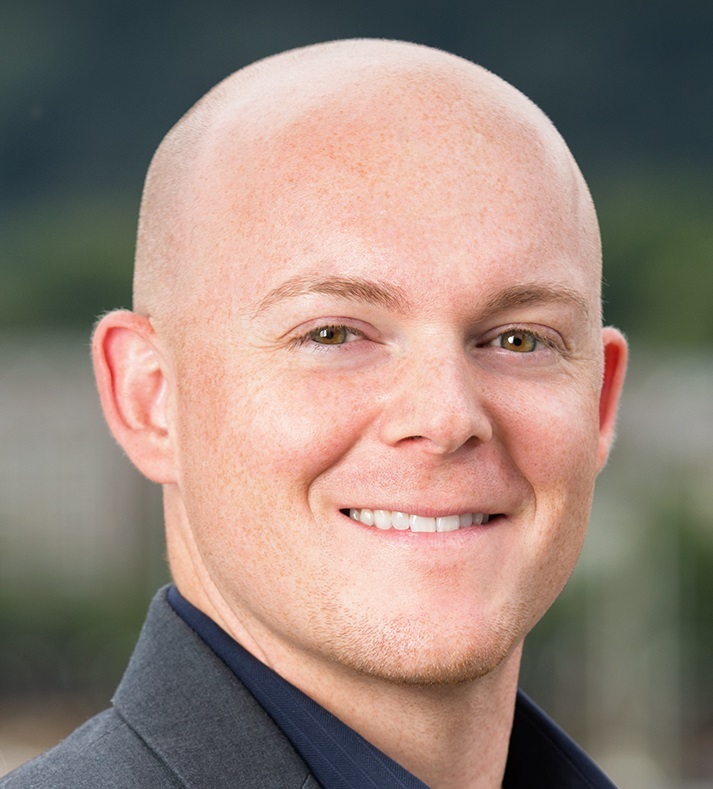 Prior to Lenders One, Matthew spent a decade at Equifax in various roles, including legal, new product innovation, growth strategy and leadership. 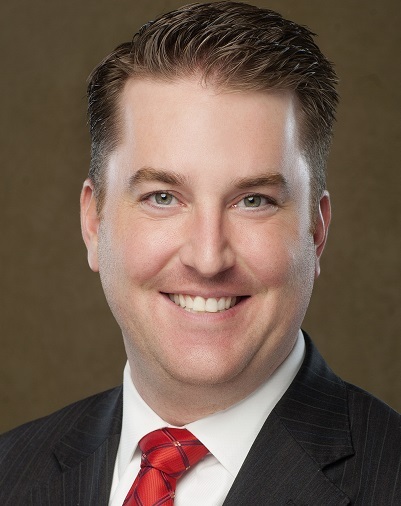 Mark Pfeiffer began originating loans in 2004 and is currently the producing Branch Manager of the Dallas Central branch for Homebridge Financial Services. Mark’s annual production for the past few years has been north of $55 million and around 180 to 200 units. His industry achievements include D Magazine’s Best Mortgage Lenders, Texas Monthly’s Five Star Professional and Homebridge’s Circle of Excellence. Mark served on the Dallas Builders Association’s “Big Board” and earned theirs designations of CGA, CGP, and CAPS. He is a USA Cares Certified Military Housing Specialist and also graduated from the Certified Mortgage Planning Specialist program. 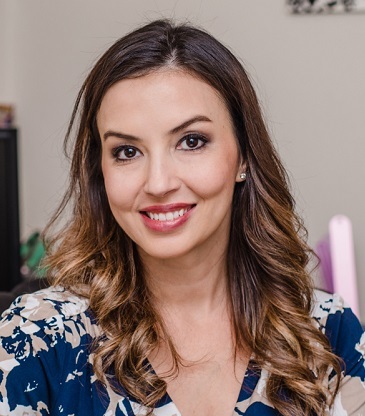 Rocio Portella was given an opportunity at the age of 18 to start in the mortgage industry because of her drive to succeed and desire to help people. She started as a receptionist and worked her way up to a Senior Loan Processor. It was in 2005 when she decided to get her license as a Loan Officer and work 100 percent on commission by serving the Latin community. 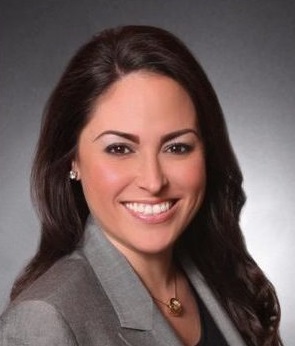 Rocio operates solely on referrals from past clients and referrals from local real estate professionals. She has helped thousands of families over her 20 years in business. In 2017, Rocio funded more than $38 million in mortgage loans and has helped 165 families in 2017. 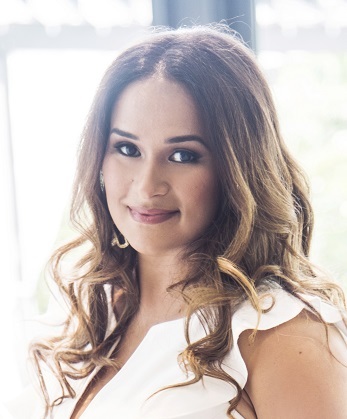 She is currently ranked as the number one Latina in Florida from a non-depository lender, according to the NAHREP Top 250 for two years in a row, one of NAMMBA’s top 100 women in the country, and top one percent MLO in America. Alysse Prosnick is Vice President of Operations at Angel Oak Mortgage Solutions, dedicating her time and expertise since August of 2015. Alysse has led many initiatives that has allowed Angel Oak to experience significant growth due to her commitment and dedication. When Alysse first started at Angel Oak, the firm only handled broker business. 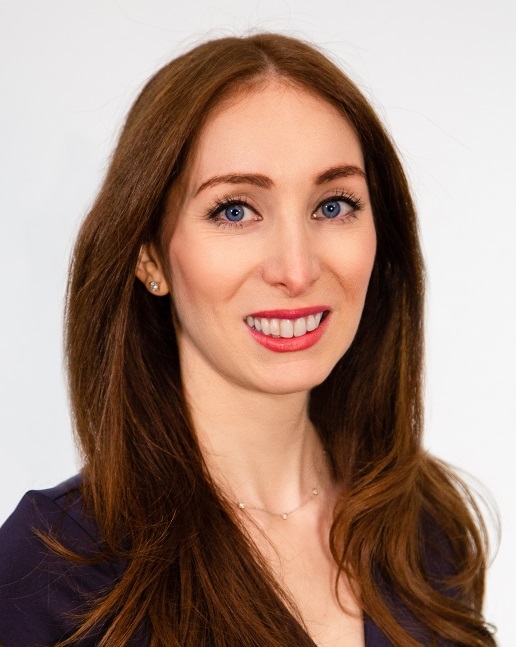 She helped add substantial opportunity and growth by helping to create four levels of correspondent lending offerings that has led to a significant expansion of business both internally and externally. She also spearheaded and implemented other initiatives, such as a TPO Connect Portal, eSignature technology, TRID processes, systems and compliance checks. 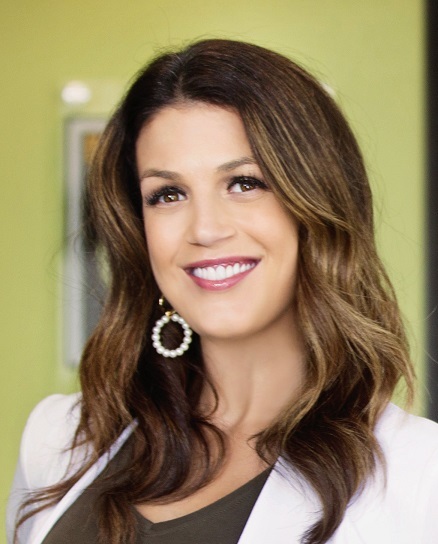 She has also worked closely with her team to open Angel Oak’s Dallas operations. Finance of America Mortgage • Folsom, Calif.
Evangeline Scott, aka Wonder Woman, is known for her “Get It Done” approach to business and providing outstanding service. Evangeline is a Certified Mortgage Planner and started her lending career in the late 1990’s. Her experience, honesty and hands-on approach is an asset during every transaction and shines through with each client she helps. Evangeline is committed to helping people achieve homeownership. She has always been a top producer, but that is not what drives her. She loves what she does, the relationships she builds and the impact she is able to have in peoples' lives ... one loan at a time! John Sherman, President of American Financial Network Inc. (AFN), has nearly two decades of solid mortgage industry experience. His leadership has been instrumental in AFN’s continual advances and growth, guiding AFN to its current rank of one of the top mortgage lenders in the nation. John has led AFN to successful milestones, by constantly improving processes, products and services. Prior to his current role as President, John served as Chief Operating Officer of AFN after a stint at New Centennial as Vice President of Operations. Phil Shoemaker joined Home Point Financial in September of 2018 as Executive Managing Director–Chief Business Officer. He has a proven track record of building strong lending originations teams and developing proprietary technology platforms. Phil has more than 20 years of experience, most recently serving as Executive Vice President, Chief Operating Officer for Production at Caliber Home Loans. During his tenure at Caliber, Phil also served as Executive Vice President, Wholesale Lending, Chief Administrative Officer and Senior Vice President, National Operations. He previously held leadership positions at StoneWater Mortgage Corporation and First Magnus Financial Corporation. 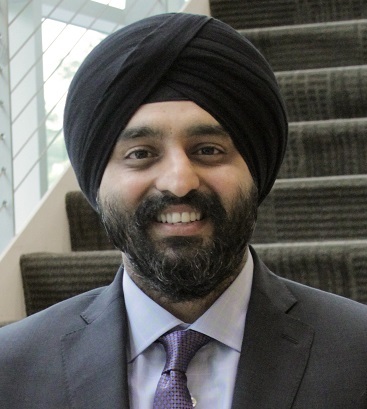 American Pacific Mortgage • Roseville, Calif.
Prateek Singh Khokhar joined American Pacific Mortgage (APM) in 2017 as Chief Financial Officer. With nearly 20 years of experience in the mortgage banking industry, Prateek has substantial expertise in debt and equity capital raising, M&A activity and overall corporate finance. Prateek has been a featured speaker at several MBA conferences, on topics ranging from maximizing profitability and how to create sustainable operations through technology and software automation. Prateek oversees all areas of finance, accounting, treasury and payroll. He works with senior leadership to serve as a valuable strategic partner to APM and all of its branches to grow APM’s lending platform. People and culture, even in a finance setting, are the most important ingredients for success to Prateek. Prior to joining APM, Prateek was Chief Financial Officer at Skyline Financial, and led the spinout of Cloudvirga to deliver on the promise of the digital mortgage. Prateek also served as the Treasurer at Prospect Mortgage. New Penn Financial • Plymouth Meeting, Penn. 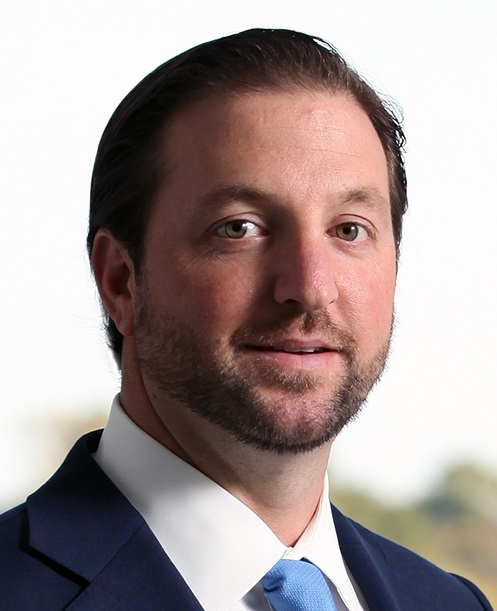 Adam Stern joined New Penn Financial in May of 2016, and was promoted to Chief Information Officer in 2018, overseeing all technology, enterprise execution and business intelligence functions. His vision to connect the best process and technology solutions at the right points in the loan manufacturing processes has been transformative to New Penn’s user experience. Stern previously worked as Senior Vice President, Analytics for Prospect Mortgage where he implemented a new LOS and led a rapid application development group. Prior to that, his career included positions at ACA Asset Management/Buczek Enterprises (Chief Financial Officer) and Vantium Capital (VP, Business Development & Analytics). John G. Stevens is married to his best friend Mindy McClure Stevens, and together, they have four beautiful children. John has worked in the mortgage industry since 2003, and considers this to be the best career choice for the rising group of Millennials. Within the mortgage industry, John has served as: President of the Utah Association of Mortgage Professionals (2010), and has served NAMB as: President, Vice President, President-Elect, Delegate, PAC Chair, NAMB+ President, Legislative Action Fund Chair, NAMB National Chair, and member of the Membership, By-Laws, Policy and Procedures, Nominating, Finance, and Government Affairs Committees. John has served his community as President of the Rotary Club of Pleasant Grove, recipient of the Paul Harris Fellow. Chair of the Pleasant Grove Planning Commission, and Chair of the Utah County Planning Commission. He is an Honorary Colonel in the Pleasant Grove Police. As an individual with a deep-rooted passion for service, John hopes to be able to serve and impact the industry and local community for years to come. 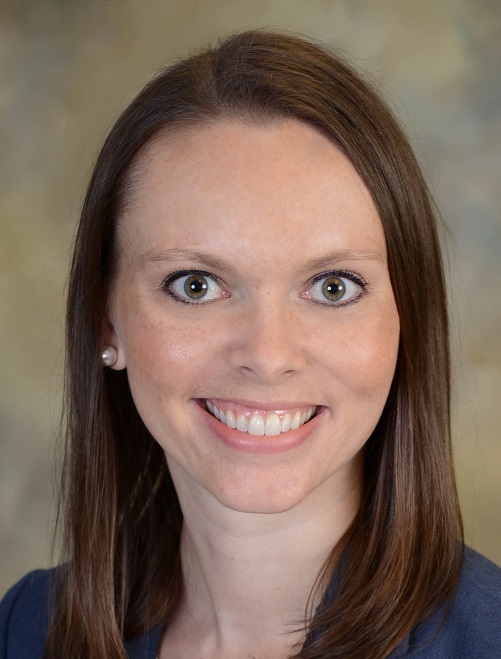 Synergy Mortgage Group LLC • Tallahassee, Fla.
Melanie Stuckey, known as the "Miracle Worker," is Chief Executive Officer of Synergy Mortgage Group LLC and a huge contributor to financial literacy in her community. 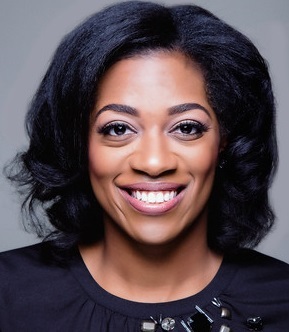 A Graduate of Florida A&M University, Melanie has traveled around the U.S., teaching consumers how to successfully navigate the real estate by obtaining A+ credit. With more than $30 million in volume, Melanie is a force to be reckoned with as she continues to lead her team with passion, dedicate time to teach community wealth building, and to create limitless success in the mortgage industry. 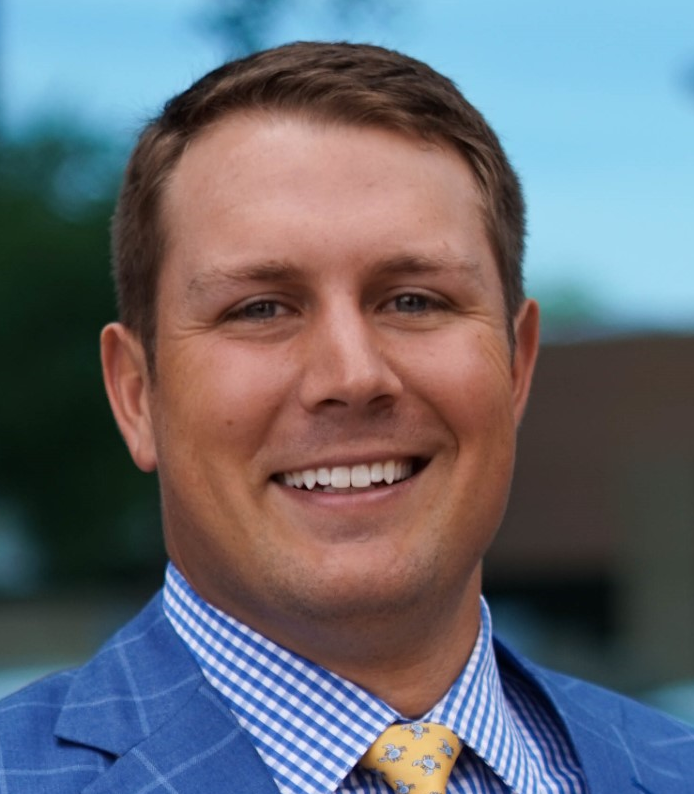 Class Valuation • Troy, Mich.
As Class Valuation's first employee, Jon Tallinger has seen the company grow into one of the top Appraisal Management Companies in the country. Tallinger started in the appraisal industry at the age of 18. While earning an advertising degree at Michigan State University, Jon spent his summers accruing the apprenticeship hours that he needed to become a State Licensed Appraiser. He spent seven years in the field as an Independent Fee Appraiser before helping to start Class Appraisal. Jon has played many roles in his tenure at Class, ranging from building and running operations, to acting as Chief Appraiser, to his current role as Chief Growth Officer. For the past five years, Jon has been responsible for all sales and marketing functions at Class. Under his leadership, the company has seen significant year over year growth, including more than 35 percent each of the past two years. John Treadwell is the Head of Fannie Mae’s Innovation Lab, where he oversees a team of 40-plus researchers, developers and operations staff. The Innovation Lab creates products and services that bring certainty to the mortgage process. Some of those notable products and services include: DU Validation Services, Fannie Mae Appraisal Waiver, Discretionary Loan Selection Engine (TAU) and Collateral Underwriter. 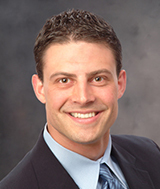 John joined Fannie Mae in April 2010 as an Economist after earning his Ph.D. in Economics from UC Irvine. He holds nine patents. Paramount Residential Mortgage Group Inc. • Corona, Calif.
With nearly a 20-year career in mortgage banking, Emily Vondrak, Director of Strategic Operations for Paramount Residential Mortgage Group Inc., has diversified her knowledge in warehouse collateral and facilities, to hosting state and agency audits, taking the lead on agency approvals, assisting in off shoring implementation, and helping maximize LOS systems and work flow to building out quality and risk management programs for many well-known mortgage banking companies across the United States. Paramount Residential Mortgage Group Inc. (PRMG) • Tampa, Fla. Success is in Jordan Vreeland’s genes, but don’t be mistaken, he works relentlessly to honor the success of his family. He comes from a line of prosperous professionals in the banking industry, perhaps inspired by his great-great grandfather a participant in creating the Federal Reserve Bank. When he’s not cranking away at drawing up the financing solutions for excited homebuyers, Jordan spends his time at tech events, basketball games, traveling with family, boxing gyms, and on the elementary school grounds as father to his three amazing kids. 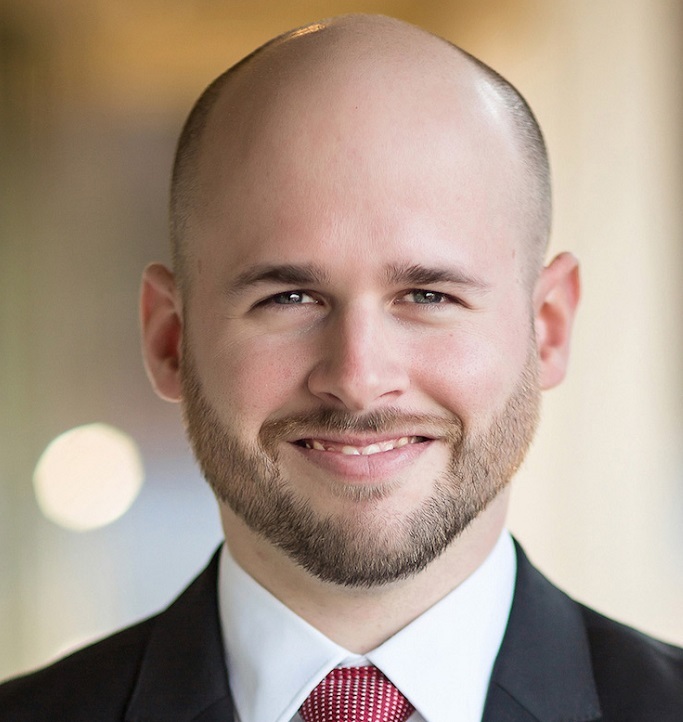 Evan Wade Co-Founded Philadelphia Mortgage Brokers in February of 2018, specializing in VA loans. Evan is actively involved with various veteran’s service organizations, such as the USA Homeownership Foundation Inc. d/b/a Veterans Association of Real Estate Professionals (VAREP), a non-profit 501(c)(3) and HUD-approved housing counseling organization; Operation Safe Haven, and No Dog Gets Left Behind. RoundPoint Mortgage Servicing Corporation • Charlotte, N.C. 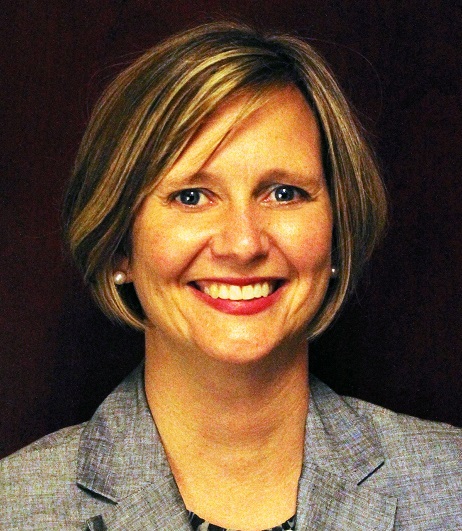 In her current role as Senior Vice President of Financial Planning and Analysis, Laura Wales oversees all aspects of financial planning and analysis for RoundPoint Mortgage Servicing Corporation, including short and long term projections at the corporate and business segment levels. Prior to joining RoundPoint in 2014, Laura served as Assistant Vice President of Finance for Nationstar Mortgage, where she was responsible for comprehensive financial planning of the Forward Servicing division. Prior to Nationstar, she served as VP of Accounting and Finance for Vantium Capital, a boutique specialty default servicer. 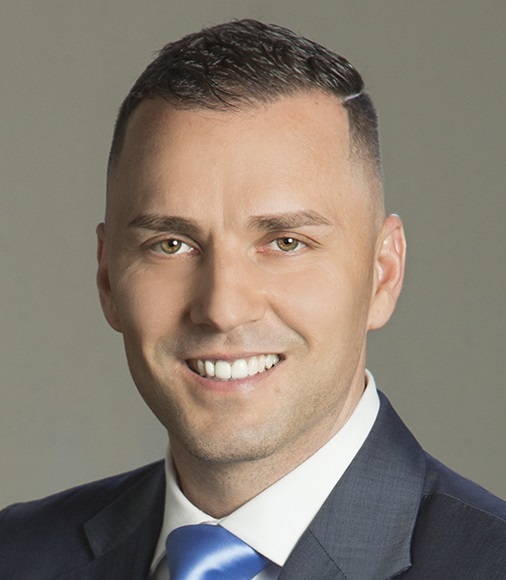 Guild Mortgage • Henderson, Nev.
David Yurovchak, Sales Manager for Guild Mortgage in Henderson, Nev. started out in the mortgage industry with the drive and focus to get every customer into a home best fitting their family and financial needs. David still keeps this as his primary focus in his daily transactions. David has created a team with the primary focus of serving the customer! David is also an amazing spouse and father of two beautiful children. He is always willing to look at what can be done better and has a positive impact in his community! As President and Chief Executive Officer of NRL Mortgage, Ron Zach has always been well-known for his charisma and reliability to the mortgage business. With his dedication, he has never set an “Out of Office” message for his e-mail, even when on vacation with his family. He consistently delivers and strives for excellence, while maintaining humble ties with his associates and team. Ron’s career in the mortgage industry started in 2001, and since then, his titles have included Loan Officer, Area Manager, Branch Owner and now President and Chief Executive Officer. When NRL was first founded in 2012, the company had five branches and a revenue of under $1 million. Today, NRL has more than 68 branches, operates in more than 45 states and has recently reached a major milestone of $1 billion in production. Outside of work, Ron is on the Board of Trustees for the Jewish Community Center in Houston, and serves as a board member of the Bellaire Little League. ►Brandi Floyd • Corporate Recruiter • Mortgage Network Inc.
►Laura Martell • Marketing Manager • Mountain West Financial Inc.
►Robert Padron • Branch Manager • 1st Financial Inc.
►DeShawn Smith • Chief Operating Officer • CMS Mortgage Solutions Inc.